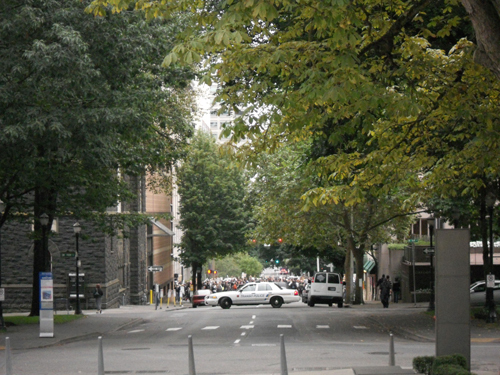 We had just come out of the Museum when we saw the Occupy Portland Protest going by. You can just see the crowd in the background. Estimated at approximately 5000 people. 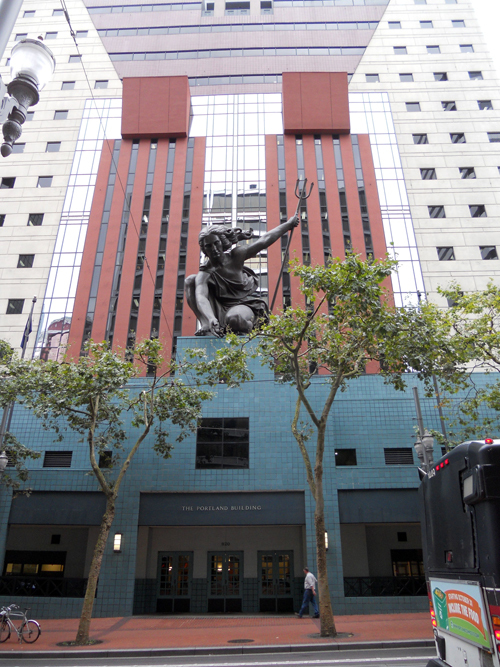 Portland has a lot of public art and some very lovely architecture, old and new. 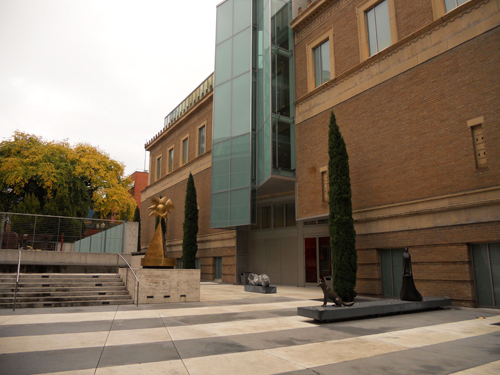 The beautiful Portland Art Museum. Spent almost all day there. Found this sign that I liked. 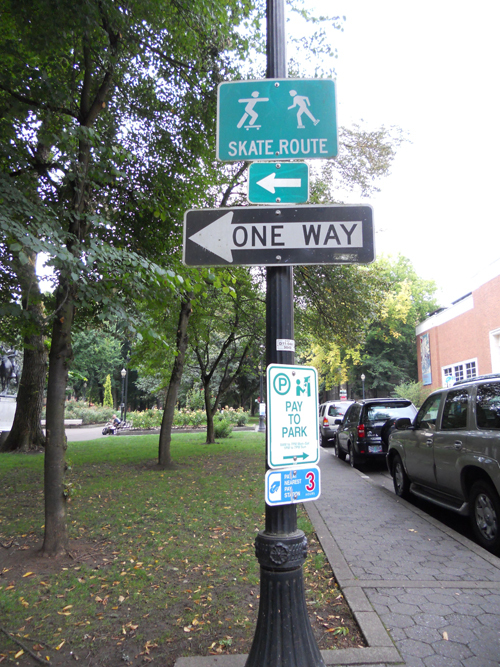 Portland is a very alternate-transportation-friendly city. 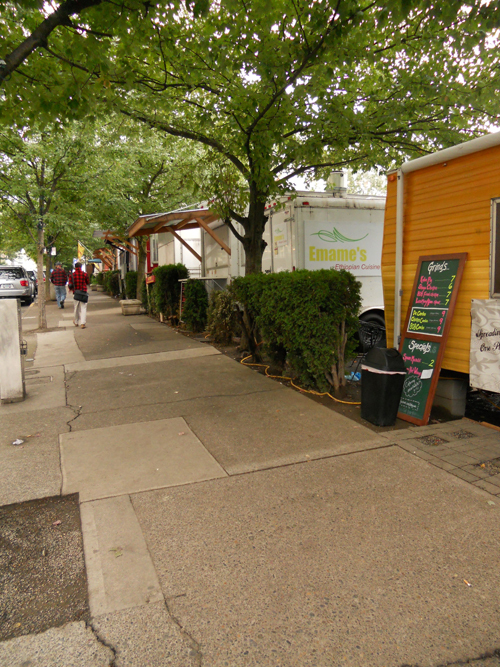 The famous block of food trucks. It all looked so yummy! food trucks, art, & protest…what a day! !